Keen to get key reforms bills passed, Finance Minister P Chidambaram has reached out to opposition Bharatiya Janata Party to get Parliament approval for the long-awaited Insurance Bill and Direct Taxes Code Bill in the Winter session that began on Thursday. 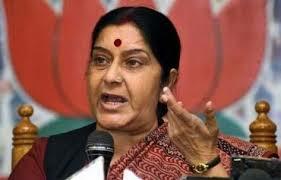 "I met Sushma Swaraj today to discuss the Insurance Bill. BJP said they will consider the bill," Chidambaram said on the sidelines of a function to inaugurate the registered office of Bharatiya Mahila Bank in New Delhi. Sources said Chidambaram met Swaraj, the Leader of the Opposition in the Lok Sabha, and her Rajya Sabha counterpart Arun Jaitley to discuss the two bills. However, BJP has not given any assurance of support and conveyed to the Finance Minister that the matter will be discussed within the party and take a call, sources said. The government is keen on increasing the FDI cap in the insurance sector. The Manmohan Singh dispensation wants to increase the FDI limit to invite more foreign investment and give a boost to the economy. There is a broad agreement on the Direct Taxes Code Bill between the government and BJP, but they differ on some aspects. BJP is firm that unless the differences are sorted out the party will not support the Bill. The Left parties too are opposed to the Insurance Bill and the Direct Taxes Code Bill. The Insurance Bill which seeks to raise the foreign direct investment ceiling in the insurance sector to 49 per cent has been with the Rajya Sabha since 2008. The Cabinet had approved it again in October 2012. The Standing Committee on Finance had, however, suggested that the cap should be kept at 26 per cent. The government is now understood to be considering a proposal to raise the FDI cap to 49 per cent without an increase in voting rights. Passage of the two bills is expected to bring additional capital to the insurance sector, and help India finalise free trade pacts with the European Union. The DTC aims to rationalise tax rates to bring more people and companies under the tax net. Among other things, the Standing Committee had suggested raising the income tax exemption limit to Rs 300,000 as against Rs 200,000 proposed in the DTC Bill, 2010.